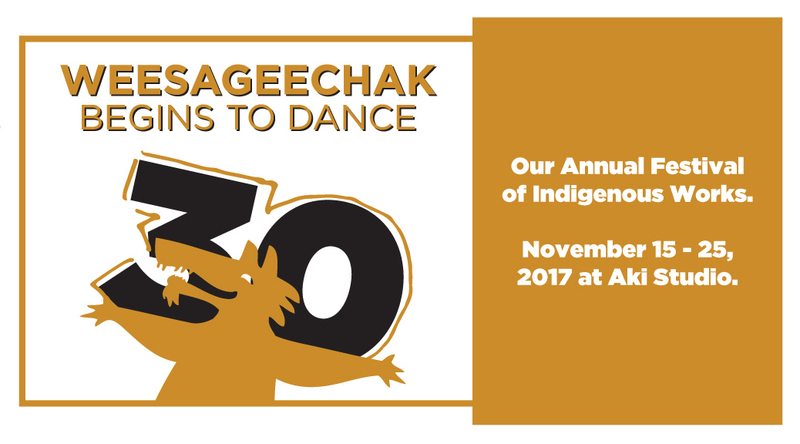 Celebrating its?30th year, Native Earth welcomes artists representing the span of the festival and the company’s history through an?array of works-in-development and presentations in theatre, dance and interdisciplinary?styles. ?We welcome back familiar faces and introduce audiences to emerging creators just coming onto the scene. This year’s festival opens with a workshop preview of Vancouver Moving Theatre’s Weaving Reconciliation, in partnership with Jumblies Theatre, which will return to Aki Studio for its premiere in June 2018. We once again partner with Buddies in Bad Times Theatre to present the?2-Spirit Cabaret, and bring back the Professional Development Series. 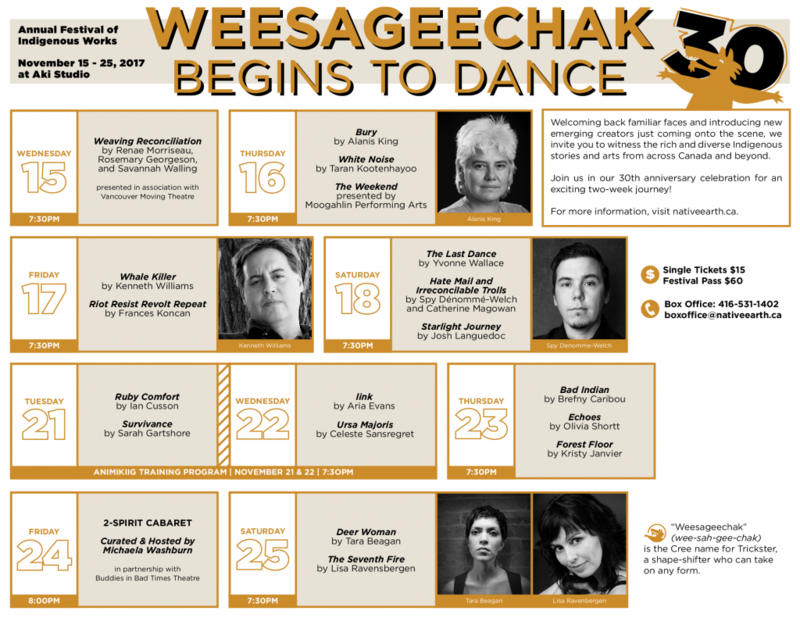 Taking place over two weeks in Aki Studio, this festival offers audiences access to the rich and diverse Indigenous experiences as expressed through the arts. Join us in the celebration! 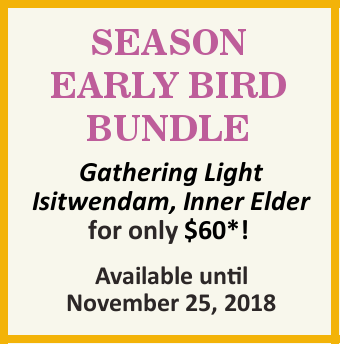 *Festival Passes includes 2-Spirit Cabaret.